All patients and visitors are welcome to take advantage of Westside Surgical Hospital & Breast Center’s complimentary valet parking services for easy and convenient access to the hospital’s main lobby and emergency department. Many of our patients compliment the hospital’s luxurious main lobby, comparing it to a boutique hotel and not a hospital. That’s our goal. We want our patients and their family and friends who visit our hospital to feel comfortable while they are waiting in either our main lobby or in one of the guest lounges. Westside Surgical Hospital & Breast Center has bottled water and snacks that are made available to its guests at request. Please don’t hesitate to ask the concierge for these when you arrive at the hospital. Along with these food and beverage amenities, the hospital’s café is open throughout the day with a menu of options for patients, visitors and guests. Throughout the hospital, guests may access the hospital’s wireless Internet and connect with the world outside of the hospital. Feel free to bring your wireless-ready devices to stay connected and let us know if you have any questions about connectivity. Westside Surgical Hospital & Breast Center provides 24-hour security and video surveillance services for the benefit of our patients and our guests. 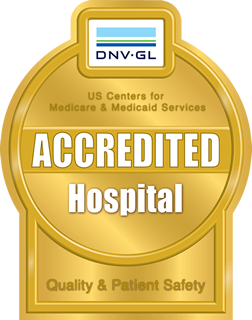 All access to patient rooms is monitored and controlled and patient safety is a core priority for our security team. 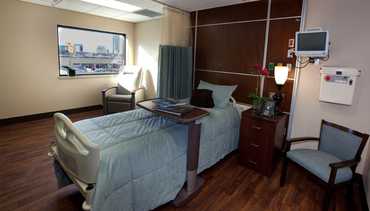 The hospital has visiting hours for all its patients’ guests between 9:00 a.m. and 9:00 p.m.